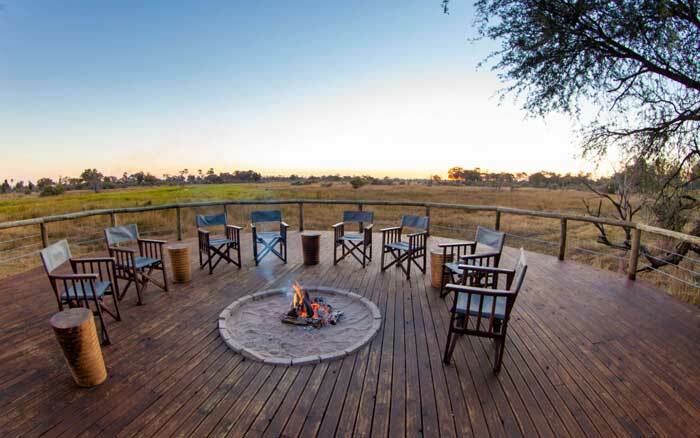 Set among trees overlooking the Gomoti River and floodplains, Mma Dinare has an archetypal Okavango Delta setting, and is an excellent base for your safari. Enjoy the exclusivity of a 27,000 hectare private concession shared solely between Mma Dinare and her sister camp, Rra Dinare (mother and father buffalo respectively). 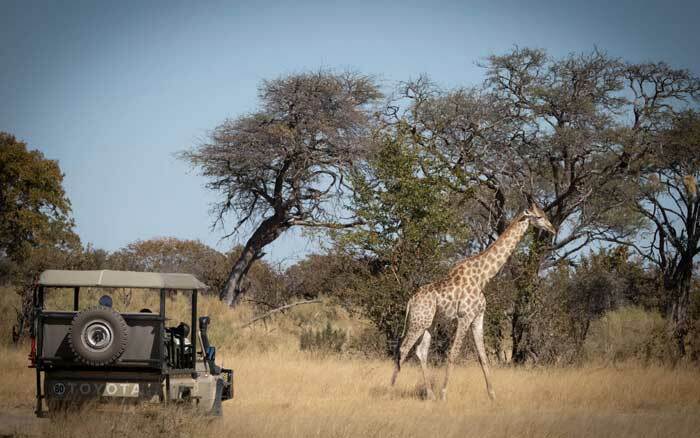 There are no crowds to interrupt your game drives and you will have sightings to yourself. Another advantage of a private concession is the possibly to take night drives, a fascinating contrast to wildlife viewing by day. 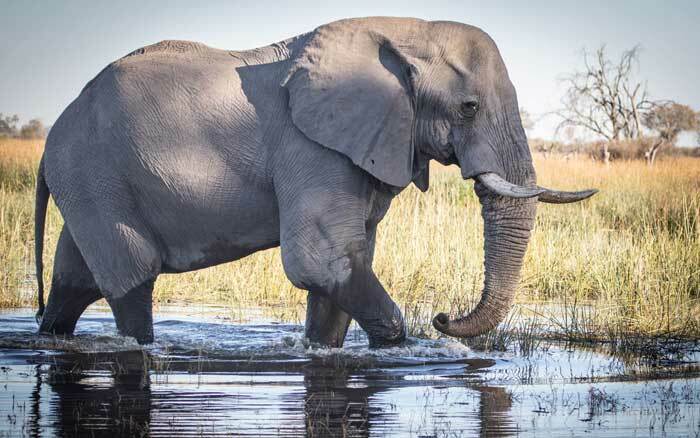 When conditions permit you can also explore by mokoro and on foot, for a well rounded safari experience. 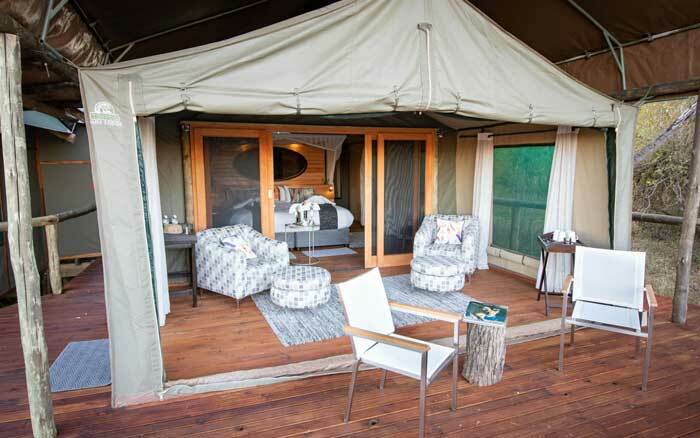 Back at the camp you can continue the wildlife watching as you relax on the large deck and observe animals by the river. Sun lovers can make for the pool deck, cooling off with a refreshing swim. 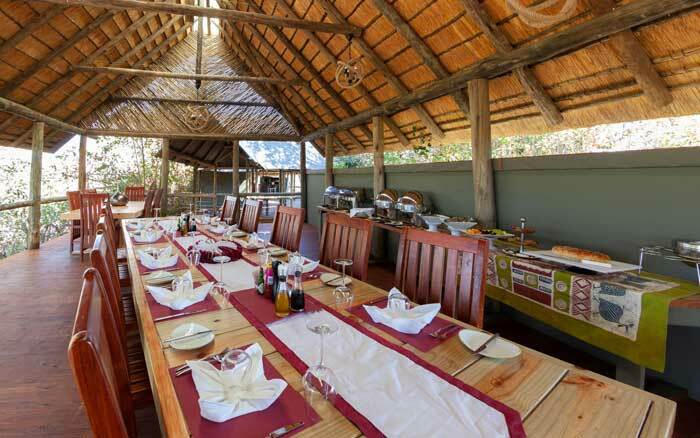 Elsewhere, the thatch-roofed lounge offers respite from the heat, and there’s a dining tent with a long table designed for group meals. The firepit comes into its own around dusk and later, the venue for drinks and stories. 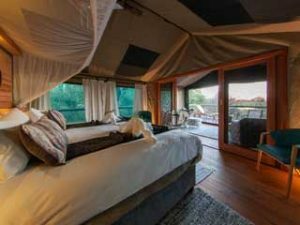 Tents are set on timber decks, have hardwood floors and wooden door frames for a sturdy feel, and canvas walls with large mesh windows. Full length curtains can be drawn at night for privacy. There’s a shaded sitting area to the front with a canvas wall that can be opened on to the open deck which faces the river. 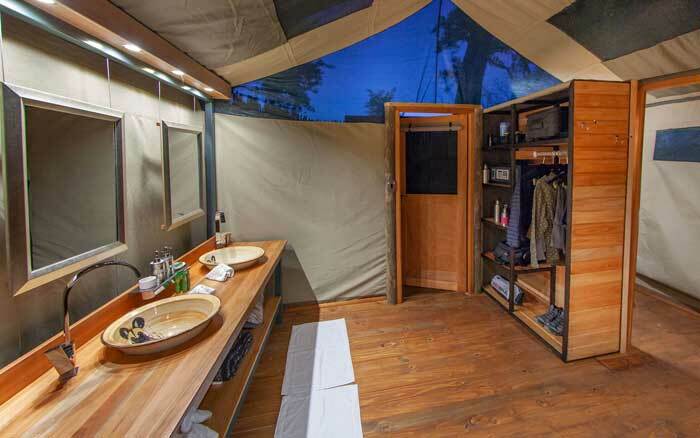 The en-suite bathroom has twin hand basins, a shower, flush toilet and dressing area. There’s a larger tent for families. 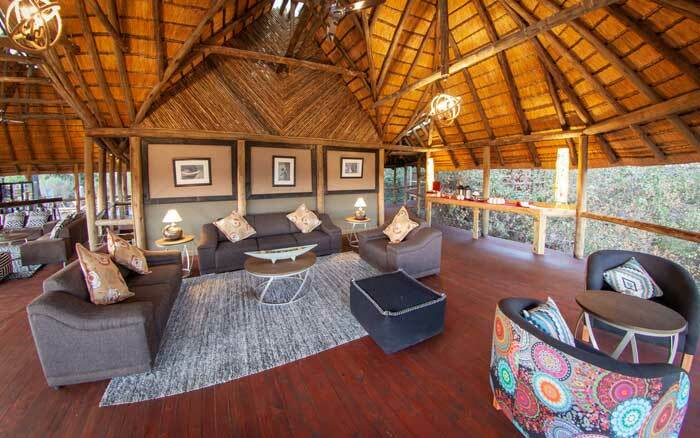 This is an extremely comfortable camp in an excellent location with a pleasantly relaxed atmosphere. Children aged 6 years and over are welcome. The minimum age for guided walks and mokoro rides is 12 years. There are 9 tents including a larger family tent. 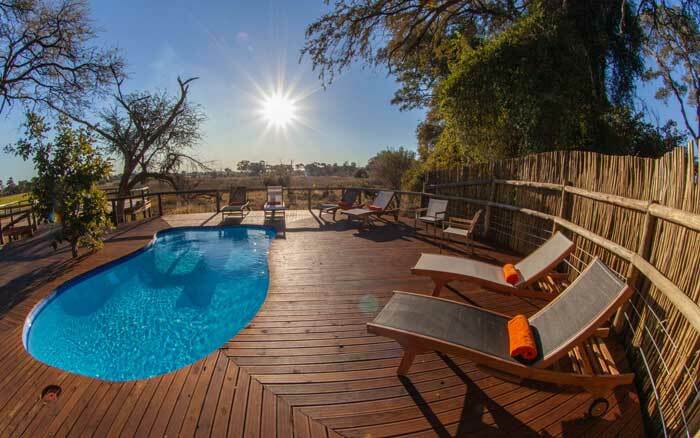 All provide comfy, light accommodation with indoor and outdoor relaxation areas and a well equipped en-suite bathroom.